Contest #1 - Sideshow is looking for your best Buns! 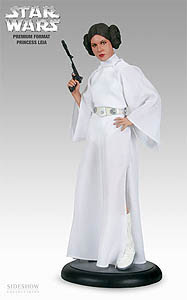 One (1) Grand Prize winner will be selected to win one of their Princess Leia Premium Format figures! 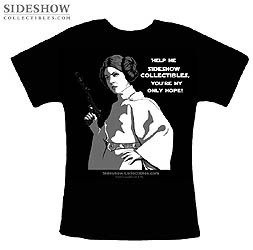 The top five (5) unique and hysterical entries will win one of their brand new Princess Leia Star Wars t-shirts. Entries must be received by 11:59 PM (PT) on Sunday, April 1st, 2007. Contest #2 - Pay your tribute to the Buffyverse! One lucky Buffy collector will win a SOLD OUT Sideshow Exclusive Willow 12-inch figure, featuring her must-have backpack accessory! 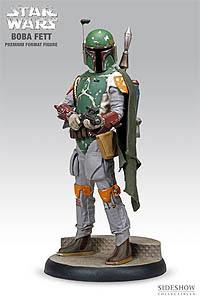 One winner will be chosen by the Sideshow Web Team from all participants who submit their entry before 11:59 PM Pacific Time on Saturday, March 31st. 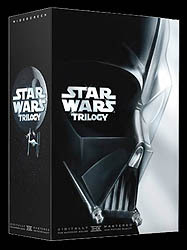 One random winner will be chosen from all participants at 6pm PST on Friday, April 20 for a Star Wars Trilogy DVD Collection [Episodes IV, V, VI], a Premium Format Boba Fett Exclusive, and a BIG BAG of popcorn. Next month's contest will start at 9am PST on April 20, 2007. All entries received before then will be disqualified! » Click the contest link for "Win Collectibles Here!" in the sidebar for more information on how to enter.